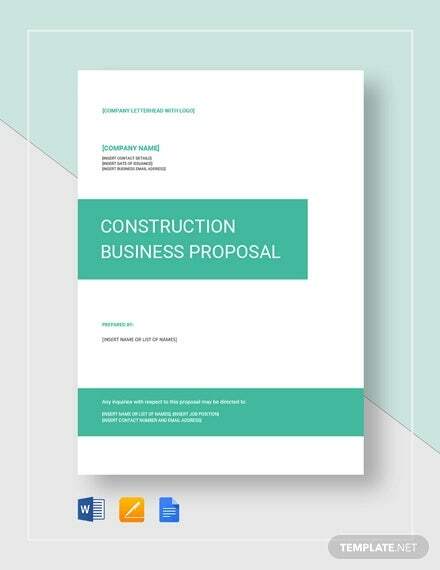 A construction business proposal is a document that summarizes construction company potential to further offer a service proposal with it. It is mainly centered on the contractor’s intention to take part in a bidding or a tender to render construction services from architectural designs to actual building project completion. 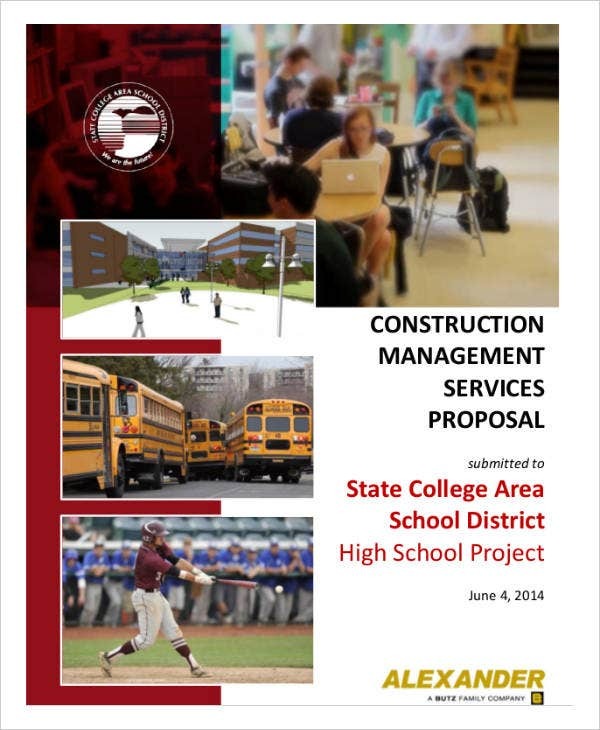 Like a book proposal, preparing a construction business proposal samples could be confusing. 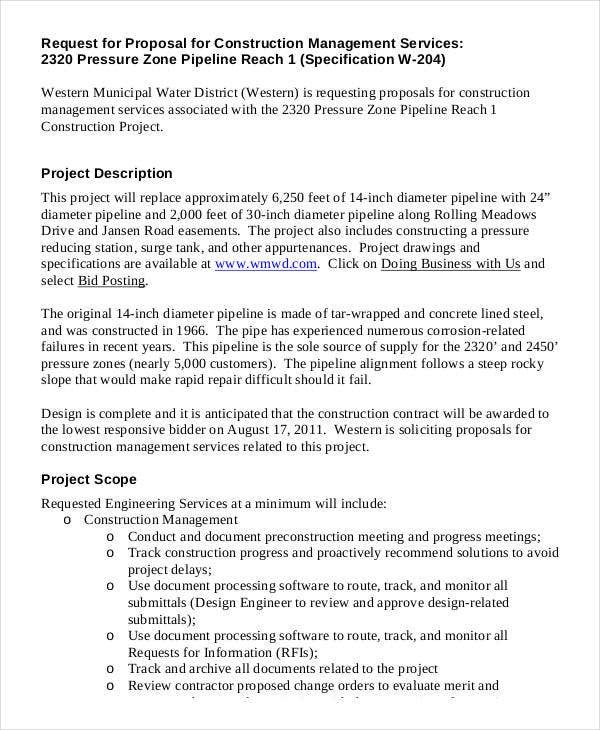 This should not discourage contractors from writing one since there are ready made templates that make sure all important information are covered and taken note of. 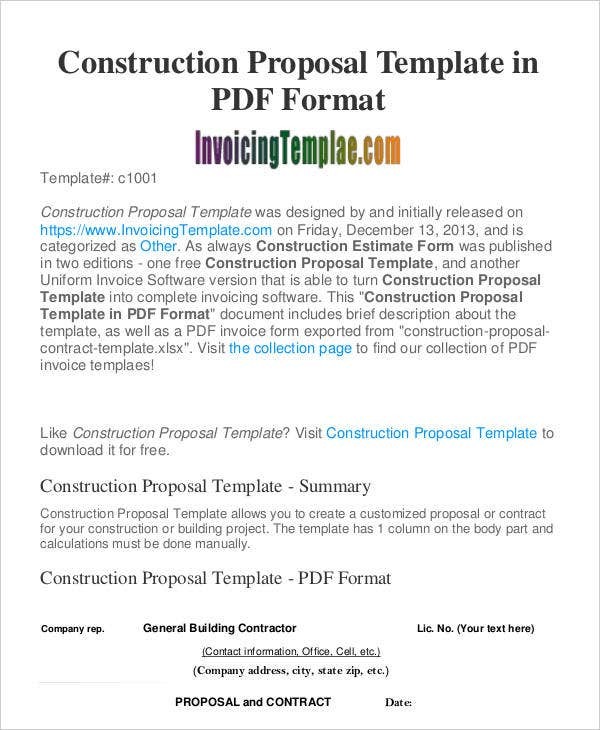 Format the services you offer before hand and finalize everything in proposal templates for construction businesses. Clients often initiate competition among contractors as they look for those that could provide for satisfactory results. Contractors always make it to a point that their services are the perfect fit for the project hence creation of construction bid business proposals. Executive summary – To start, contractors provide a background summary of their identity as a construction company. They include construction projects that they have successfully completed. 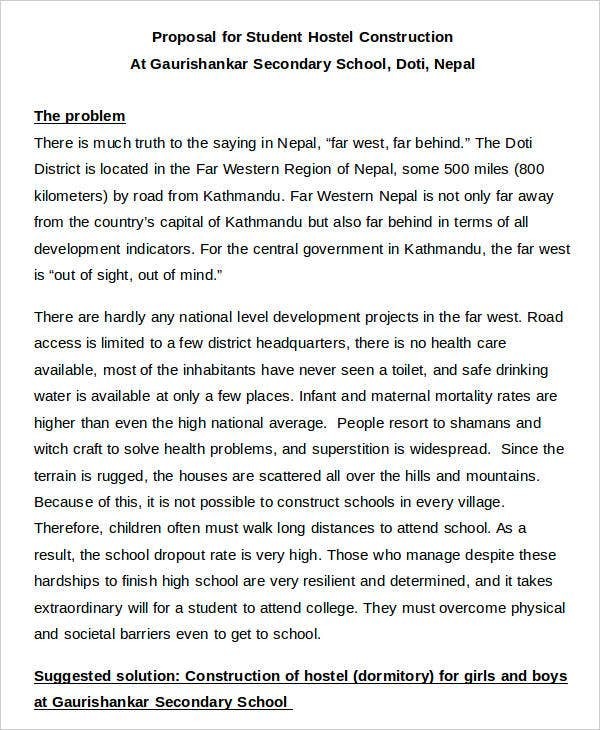 It is also in this part of the proposal that contractors convince clients as to why they are perfect to build a project. Construction services – Endorsing the company as a whole increases the chances of winning the bid for a building project. Highlight the quality services that a construction company offers in a way that it perfectly coincides with what the clients are requiring. 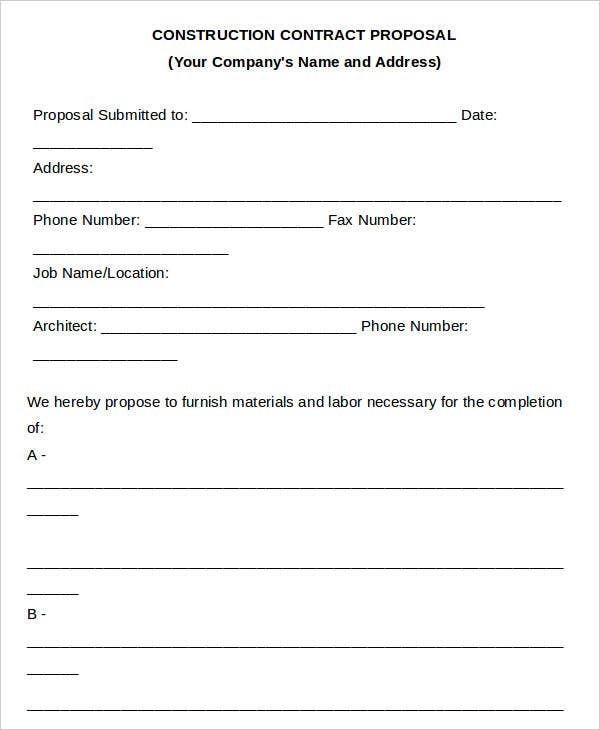 Construction companies could also use a research proposal template to endorse their well-researched procedures in order to maintain quality service. 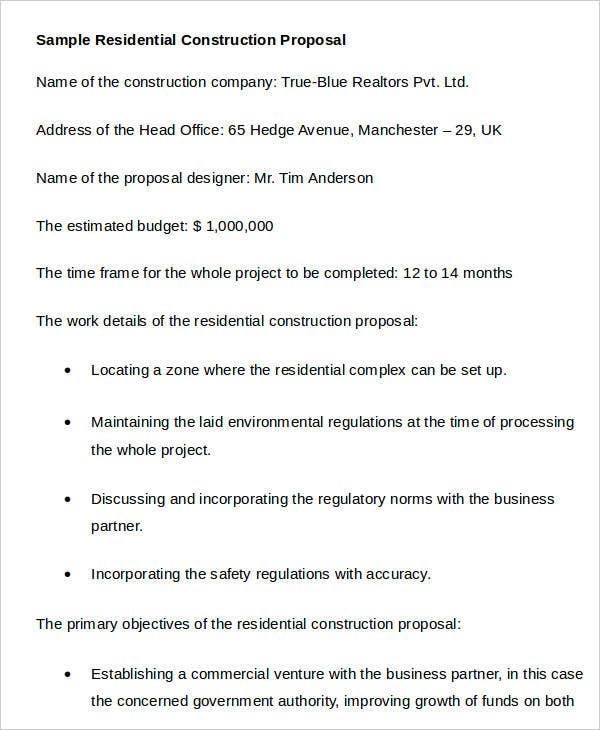 Estimated project cost – Write about the estimated project value which should entice clients into weighing their budget for the building project. 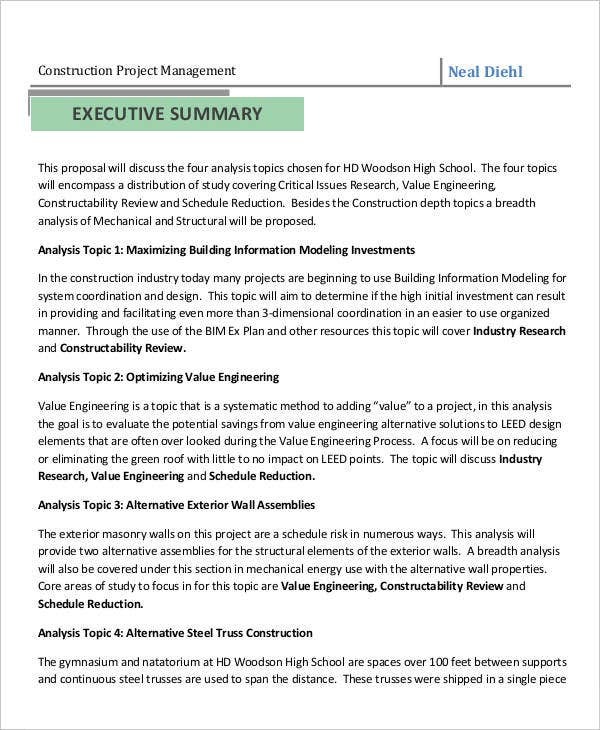 Attach a budget proposal template is necessary and list relevant expenses for clients to evaluate from construction materials, labor, and equipment among others. 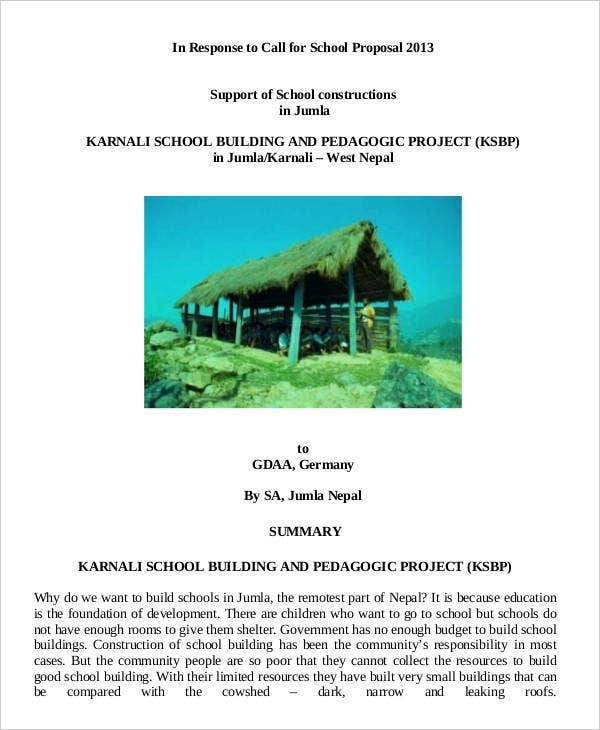 It is not enough to know just how to write a construction business proposal. 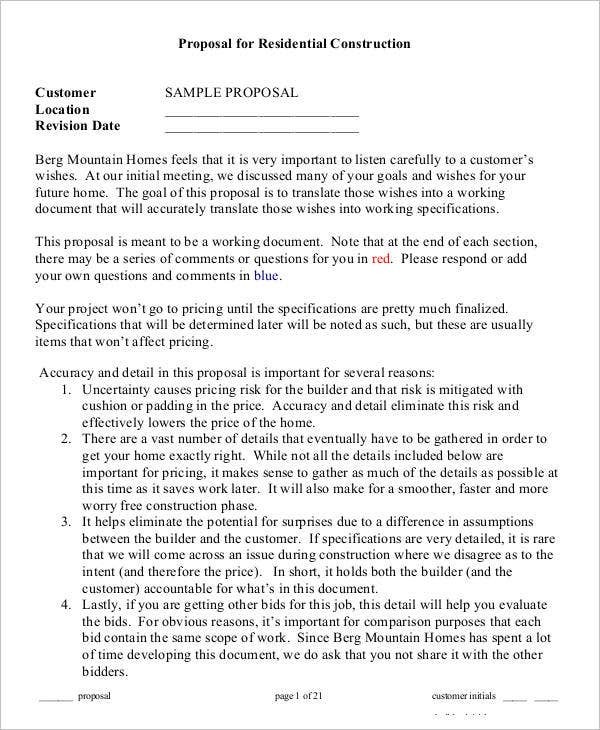 Soon-to-be contractors and clients should know what should be written for effective and more appealing proposals. Contractor identification details – Be it known that clients and customers would need anything that would help them easily identify contractors. In cases where a specific proposal of a contractor is shortlisted, clients would want to know full details be it company name, contact information, project managers, and more. Project portfolio – A compilation of projects should be included in the proposal as an exhibit for clients to see. Most clients might possibly base their approval upon checking out completed construction projects. 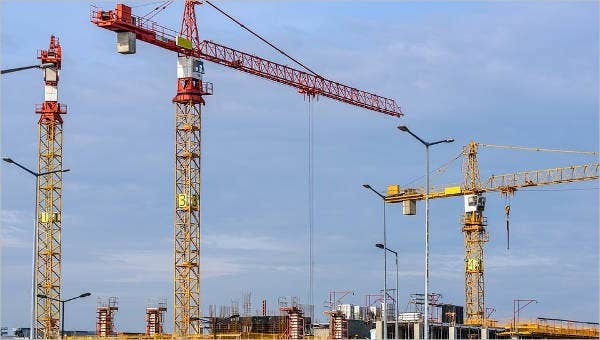 Construction time frame – A proposed end date of construction could be appealing to clients in a way that they get to see how much progress can be done in a specific span of time proposed by contractors. Only the best marketing proposal templates could provide an outline of marketing strategy for construction business proposals. 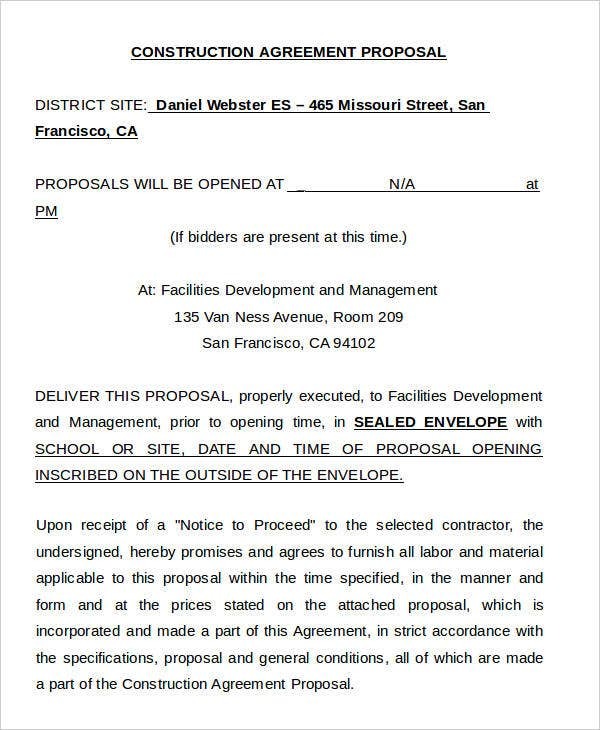 Contractors could also fill out simple project proposal templates to simplify their intended construction proposal.